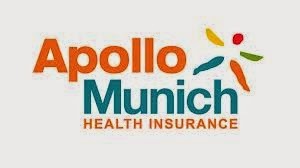 Apollo Munich, a leading standalone private health insurance company, on Thursday, announced the launch of its two new plans under its Optima series - Optima Vital and Optima Super. Optima series products have been receiving tremendous response since its launch. As per a company release, Optima Vital is a critical illness plan, which covers 37 critical illnesses against normal industry standards of providing cover for around 7 to 20 of these conditions. Under the plan, customers can seek e-opinion from Apollo Munich's panel doctors, as and when required by them. Another plan, Optima Super, aims to cater to the need of having a low cost cover while one is employed. It comes with Switch benefit where the policyholders have an option to switch to a full-fledged nil deductible plan without any underwriting or consideration of your current health status at two occasions. It offers a lifelong renewal benefit and an option to avail a single cover for the entire family. The minimum entry age for the plans is 18 years, and the maximum age at which one can have these plans is 65 years. Apollo Munich Health Insurance Chief Executive Officer Mr. Antony Jacob said that due to the modern lifestyles and increased stress level Indians are encountering critical illnesses more than ever before. Hence, there is a deep-felt need in the market for a one stop shop plan that covers all the major critical illnesses to help reduce the financial trauma related to critical illnesses.